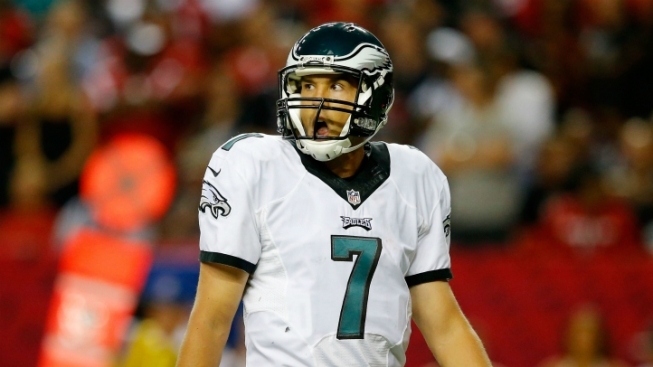 Philadelphia Eagles quarterback Sam Bradford has denied a report that he turned down a big extension prior to the start of the season. According to Howard Eskin of WIP, the offer that came ahead of the season opener was worth about $18 million a year, or $72 million over four. Given his recent injury history, if Bradford turned that down, it would be one of the bolder instances of a player betting on himself that we can remember. The problem is, Bradford says he never heard such an offer. Whether the deal was ever actually on the table, we’d imagine Bradford would jump on such an offer if he saw it now. Through seven games in 2015, the former Heisman winner is completing just over 60 percent of his passes, and has nine touchdowns compared to 10 interceptions, and four fumbles. His QBR currently sits at 29.6.